The son of a senior who disappeared more than three years ago says new police partnerships with the MedicAlert Foundation are a good first step, but more needs to be done. The Abbotsford Police Department announced Wednesday that it will be working with MedicAlert on cases involving missing people with medical conditions, and cases where people are found but unable to say who they are. The partnership will allow police to instantly access personal information of anyone who has registered with the service, if they have his or her identification number found on MedicAlert bracelets. The system will be used in event that a person with a diagnosis like autism, Alzheimer's, dementia or a brain injury is reported missing, or found wandering and confused or unable to communicate. If a first responder has his or her ID number, they'll be able to access the person's address, family contact information, doctor's name, medical information, photo and more. Vancouver police announced a similar partnership earlier this year. The MedicAlert Connect Protect system is meant to help get information to officers quickly, so the missing or found can be reunited with their loved ones. But a man who has lived the experience of a frantic search for a loved one with Alzheimer's said more could be done to help. Sam Noh's father went missing more than three years ago, and his family is still devastated. 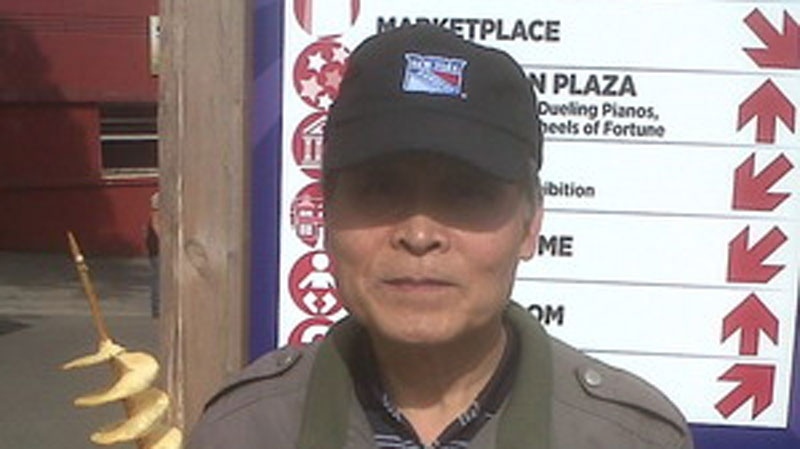 Coquitlam resident Shin Ik Noh was 64 when he left home on a weekday morning in 2013. His family never saw him again. "He was a pastor. He really loved people, he loved the community. He was really kind-hearted," Sam Noh told CTV News. Noh said his father was frustrated with the effects of Alzheimer's but stayed positive. He loved his family, and loved to walk. Recalling the day his father failed to return from one of his walks, Noh said he thought a lot more could have been done. Family and friends began searching immediately, but it took 24 hours to get the message out to media and the public, Noh said. He felt like if the public had been alerted earlier, they may have had a better chance of finding his father. "I think getting the word out as quickly as possible is vital… The chances of survival decrease after 24 hours, and most likely they're found by a member of the public," Noh said. There were some confirmed sightings during the search – his father was seen on Burke Mountain, about an hour's walk from his home – but the family didn't find out until days later. "If we had known about that information sooner I think we would have had a better chance of finding him. Obviously there's no guarantee, but that confirmed sighting came on Day 3 or 4 and my dad was very mobile, so it was essentially too late." Noh said the MedicAlert partnership is a step in the right direction, but it doesn't help with the actual search. It provides information to police, but doesn't get the details out to members of the public who may have seen a missing person pass by, but not realized he or she was missing in the first place. He wants B.C. to consider implementing the "Silver Alert" system used south of the border. The system works like Amber Alerts, but is focused on at-risk seniors rather than children. "Basically, media channels would broadcast that they're missing and the public would be notified instantly, either on media or even highway billboards," Noh explained. "It quickly spreads the word that there's a missing senior in your area." And the alerts can be geo-targeted to residents of specific areas, like the Tri-Cities, rather than to the entire province. Silver Alerts in the U.S. have had high retrieval rates, he said. In Washington State, 53 seniors went missing last year, and all but two were located safely. Manitoba may adopt a similar system if a private members bill to be put forward by MLA Len Isleifson is approved. Noh has petitioned for Silver Alerts for years, but says he's seen "some pushback" from the provincial government. The province's strategy focuses more on prevention, rather than reaction, he said. When asked about the possibility, Public Safety Minister Mike Morris said the issue of missing seniors is too localized to require a province-wide system like Amber Alerts. While Amber Alerts may involve children at risk of being taken to another jurisdiction, province or country, cases involving missing seniors are usually dealt with by local police, Morris said. He said police are usually able to call in resources right away, as the cases involve a confined area. Noh said he gets frustrated that Silver Alerts aren't in place in B.C. or across Canada, especially when families who are dealing with Alzheimer's or dementia diagnoses and concerned that their family member may wander away. "It's absolutely heartbreaking that there's little progress on this. We have the technology in place too, and we're just not really utilizing it." For now, Noh and search and rescue volunteer Michael Coyle run a volunteer program that scans local police websites for news about missing persons. Their website and social media accounts send out alerts to subscribers about people that meet Silver Alert criteria. "Obviously I'm not going to find my father pushing for this, but the goal is to save other families the heartbreak and the devastation of trying to find missing a family member," Noh said.